There’s a saying that goes something like “You know a chef is good if they’re fat.” For all you know, maybe the chef just doesn’t have any self-control. Maybe they just like to cook terrible food like Cheeto-encrusted chicken wings. 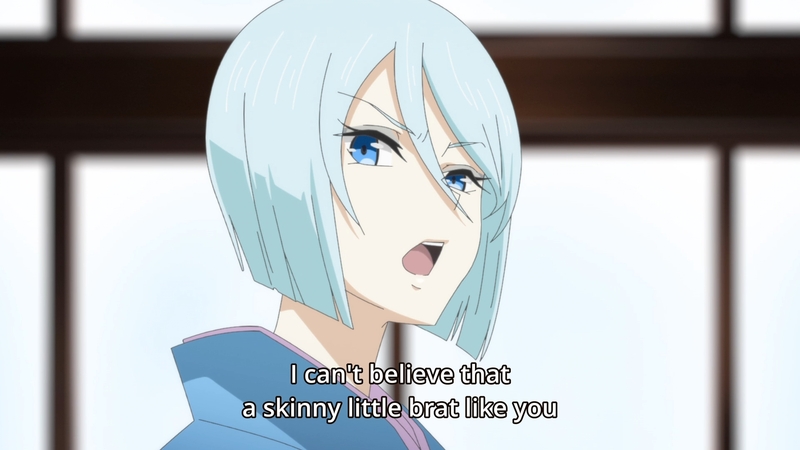 There’s another similar saying that goes something along the lines of “Never trust a skinny chef.” This might be something that Kakuriyo no Yadomeshi’s heroine will have to defend herself against. After all, her body size is unfortunately a point of contention. 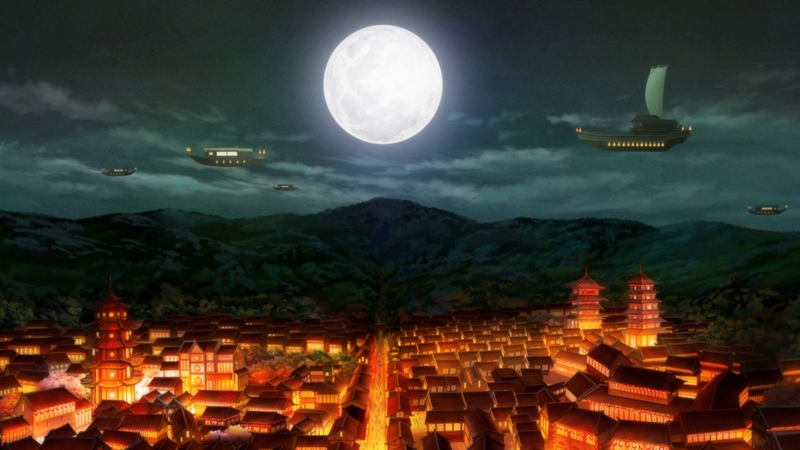 But to start from the beginning, Aoi has been whisked away to the Hidden Realm against her wishes by Odanna, an oni. He wants her to become his bride, and she can’t say no. Y’see, Odanna runs an inn where you can run up a hefty bill. 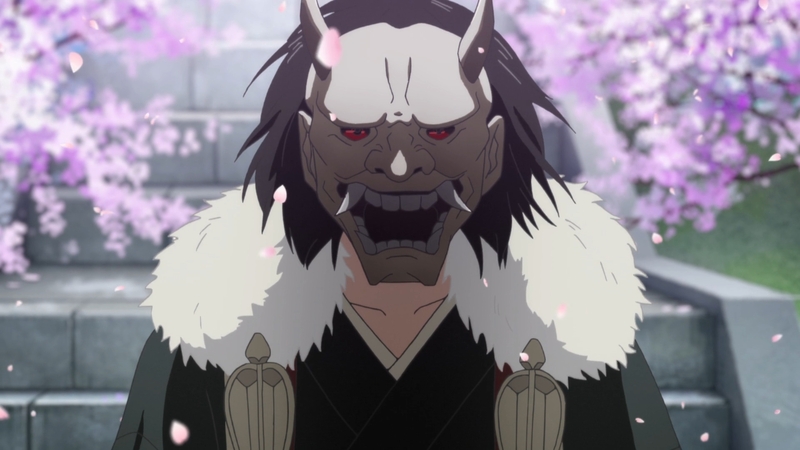 For whatever reason, Aoi’s grandfather had the ability to cross over into the Hidden Realm, and one day, he racked up 100 million yen in debt. Unable to repay such an exorbitant amount — what the hell did he do? — he offered up his own granddaughter as collateral. With no way home, Aoi has no choice but to either marry Odanna or repay the debt in some form or fashion. What a poor girl. And when I call her a poor girl, I’m not exaggerating. Aoi has a gift: she can see ayakashi, which are spirits, ghosts, phantoms, ogres, what have you. 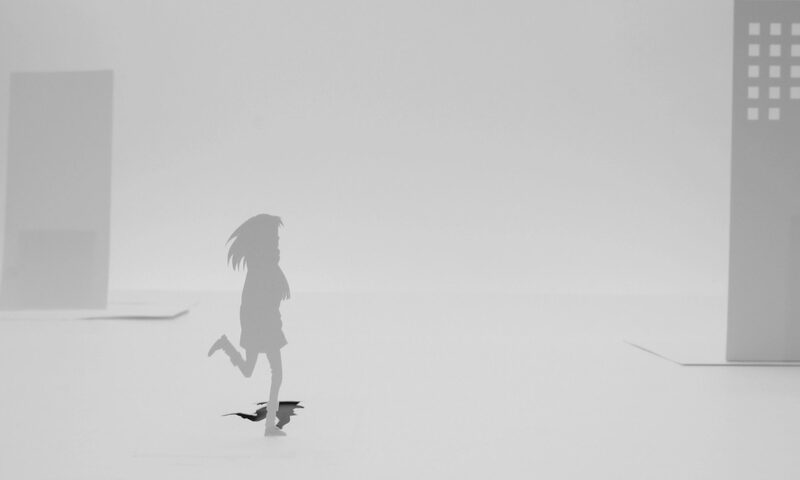 Some of them are cute, and some of them are… Slenderman-esque. Sounds like a cool ability, right? 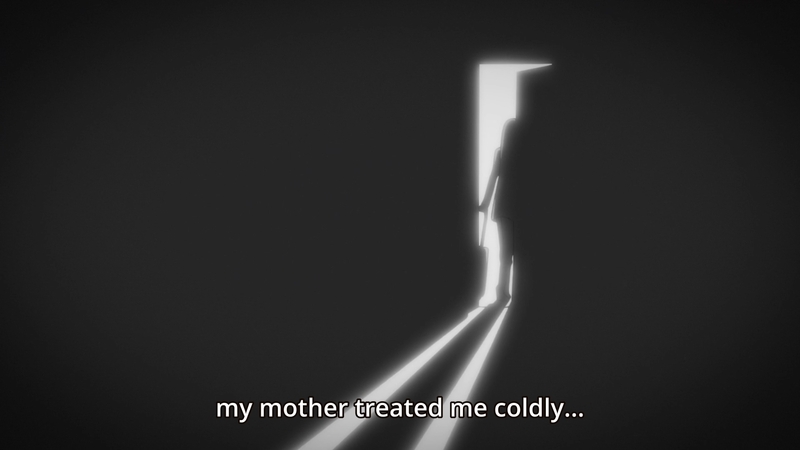 But according to Aoi’s backstory, her mother abandoned her specifically because the little girl could see ayakashi. Yeah, I don’t get it either. I hope this gets fleshed out a little better, because right now, that sounds ridiculous. Nevertheless, little Aoi found herself on the brink of death at one point until a friendly ayakashi appeared out of nowhere and offered her some food. God, I hope this doesn’t turn out to be Odanna. 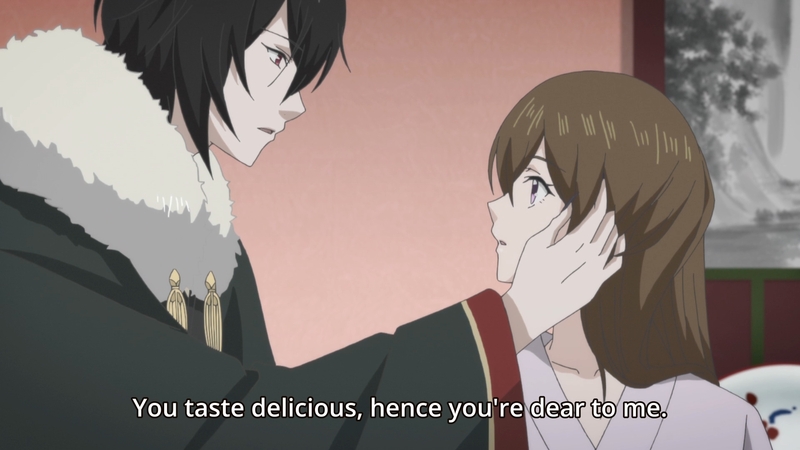 What I find particularly troublesome is if the friendly ayakashi is revealed to be her main bishie squeeze, and upon learning this crucial bit of knowledge, our heroine just can’t help but feel a little dokidoki whenever she looks at him. 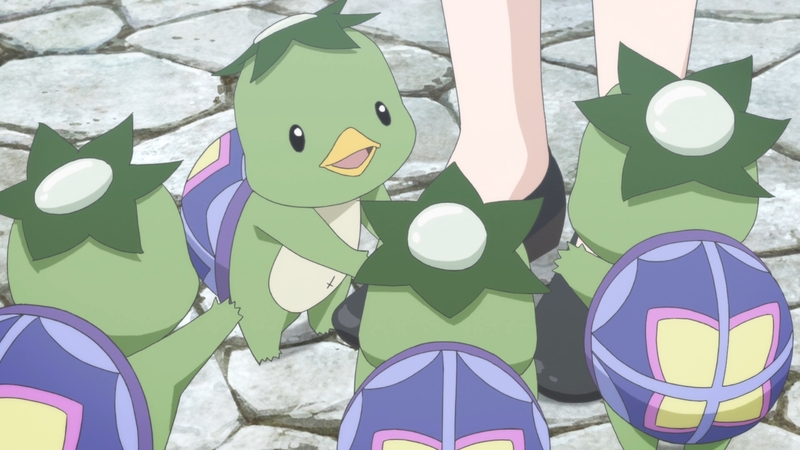 But think about it: she was just a tiny child back then. Don’t tell me that the guy’s been interested in her all this time. Don’t tell me he set an alert on his spiritual calendar app, and as soon as she became a woman, he decided to swoop in for the kill. 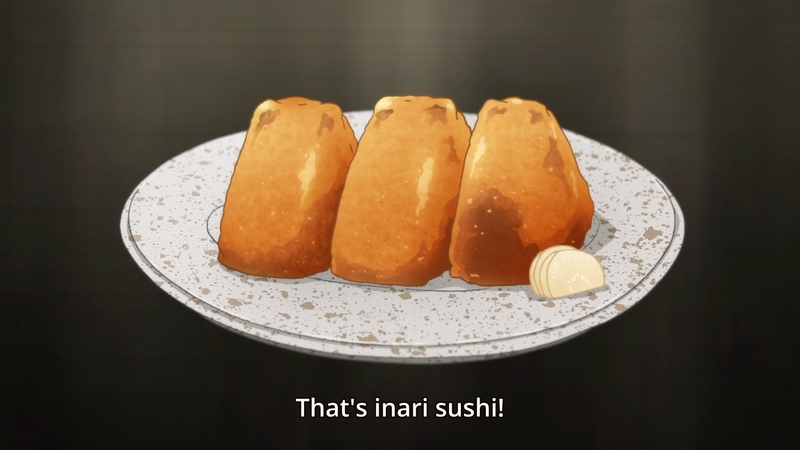 Anyways, food is very important in this story, which is not surprising. After all, ceremonial food offerings is a common practice in East Asian culture. Aoi’s grandfather warned her that ayakashi can be potentially dangerous, but you can always appease them with food. As a result, when he eventually adopted her from the orphanage, he told the girl right from the get-go that she had to learn how to cook. 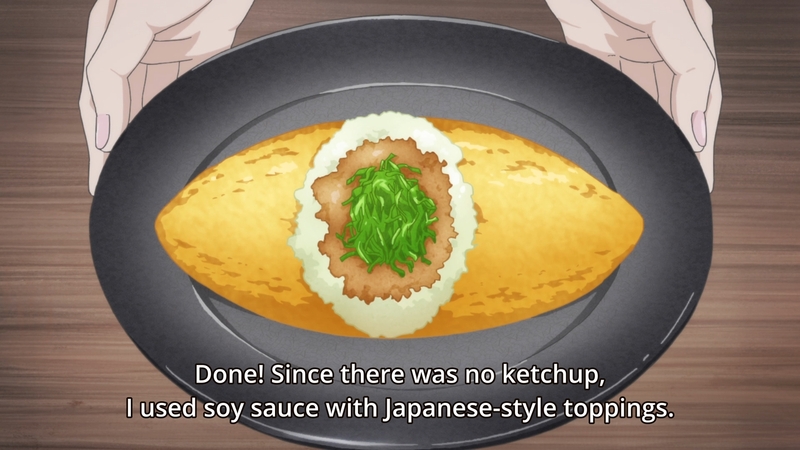 Everyone should learn how to cook, but when I look back on the first episode, I get an uneasy feeling. 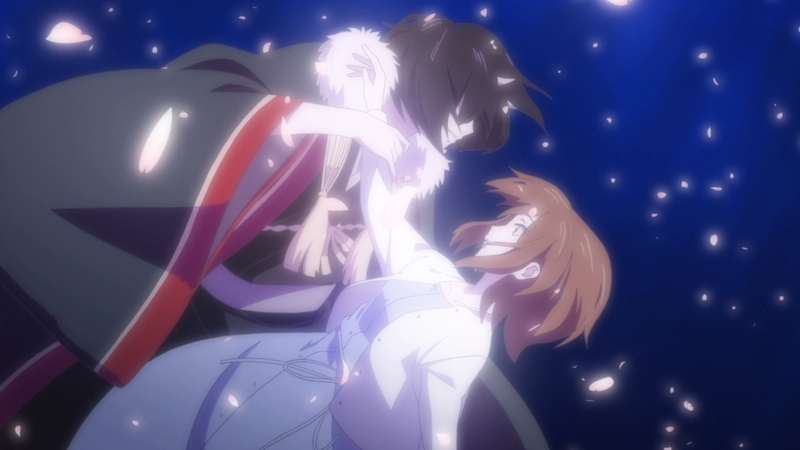 The old man might have seemed benevolent — after all, he adopted Aoi — but he also used his own granddaughter as collateral. So you gotta wonder if he was really all that nice. Honestly, I can’t help but be cynical. I can’t help but wonder if he taught her how to cook so that she could be a good wife one day. A good wife to who, though? Hmmm. Hell, Odanna didn’t exactly steal Aoi away as soon as he could. He sat outside a shrine until she decided to offer up her bento to him. He later claims that he wants her because she tastes good, but had her cooking tasted terrible, maybe he wouldn’t have wanted to marry her. Maybe he’d think she makes a bad wife, so he would’ve just moved onto the next generic anime heroine on his list. Plus, Aoi’s not the only person against the marriage. Odanna’s staff seem particularly against the idea, especially since our heroine’s just a human girl. Not only that, she’s a skinny human girl. This is an insult that one of the female ayakashi seems particularly fond of. One can’t help but wonder if this lady is perhaps jealous of Aoi’s luck. Of course, this is anime, so I can’t tell at all if Aoi is actually skinnier than average. But even though food might have gotten her into this mess, it might be her only ticket out as well. Aoi swears that she’ll repay her grandfather’s debts, and to do so, she’ll open up an eatery. 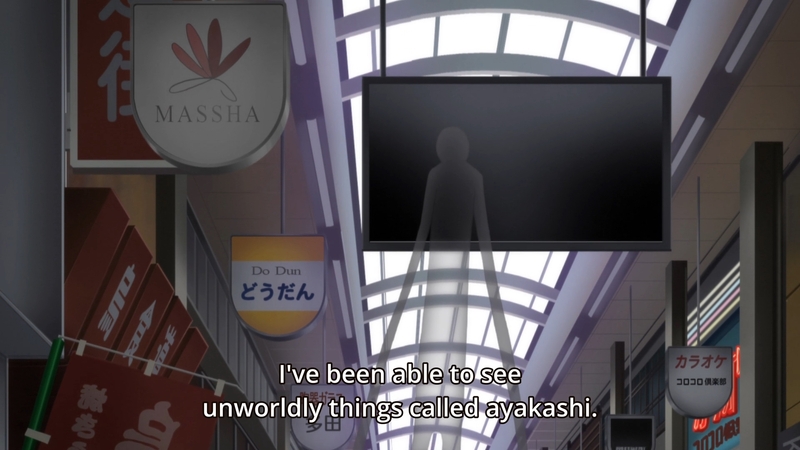 Yes, she’s going to run a restaurant in the realm of the ayakashi. They already like to eat human food in the human world, so surely, they must like human food in their own world! 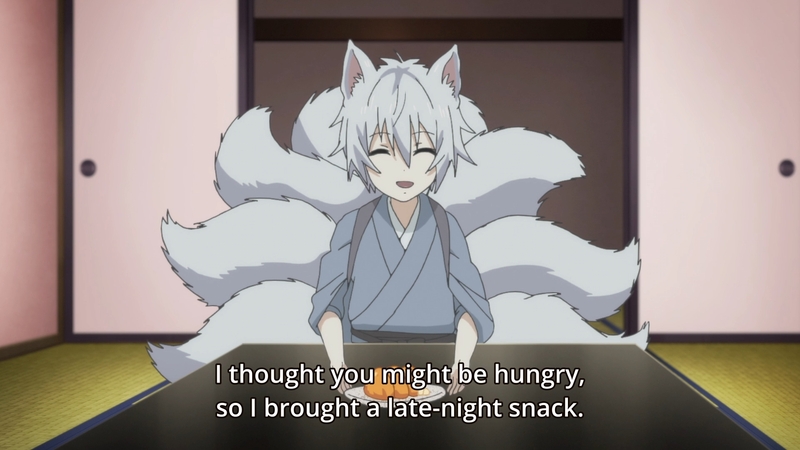 Aoi even manages to become friends with a nine-tailed fox by charming him with her rendition of omurice. Naturally, ketchup is in short supply in the land of ghosts and phantoms. It’s just too bad that Aoi can’t simply lawyer up. I mean, just because her grandfather offered her up as collateral, it doesn’t mean that the girl has to go along with it. It’s not like her grandfather ever owned her, right? Buuuuut I don’t suppose you have basic human rights in the land of ogres and spirits. At the same time, however, Odanna doesn’t have free reign over the girl. 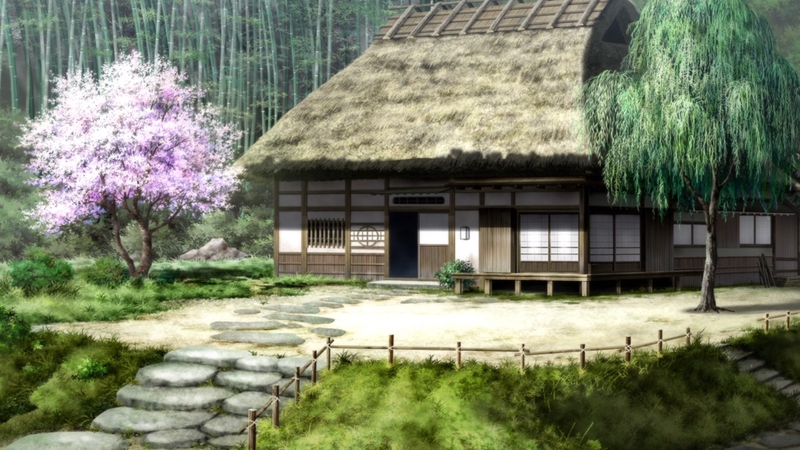 Somehow, Kakuriyo no Yadomeshi managed to land itself a 2-cour adaptation. As a result, Aoi will soon find herself with many suitors. Odanna will assuredly be the one who wins her heart. I’d be shocked if he didn’t. But along the way, she’ll bump into plenty of other bishies. Hell, she’s already met one: the nine-tailed fox. And I know how this show is going to go. She’s going to meet each and every single one of them, and she’s going to deal with each and every single one of their sob stories. Eventually, however, she’ll always go for the main dude. That’s how these reverse harem shows always go. If it was me, I’d say to hell with all of them. Ideally, she gets out of the stupid contract somehow and returns to her college life. 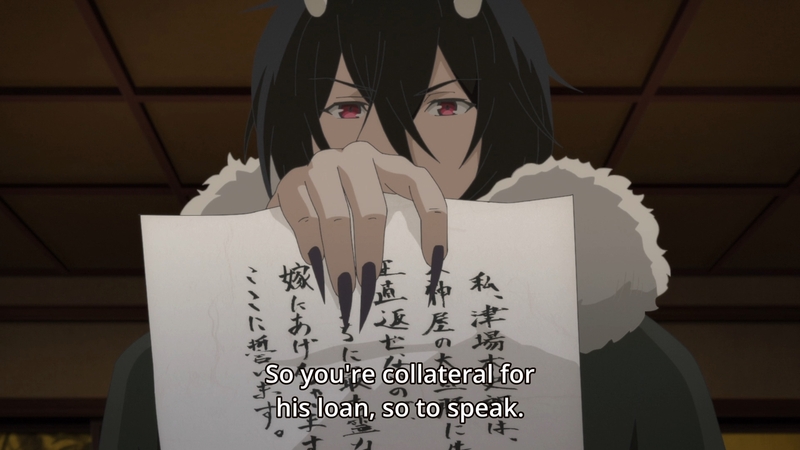 But if she’s gotta pay off her debts, then I guess the restaurant idea isn’t so bad. That’s the only thing that the show has going for it right now. Anyways, I haven’t decided if I want to follow this show. Even if I do, I can’t imagine writing a post for it every week. We’ll see how things shake out as the rest of the season unfolds.